Rama Youssef fled Syria with her mom after a bomb went off five miles from her middle school, and she arrived in the United States in 2012. (THOUSAND OAKS, Calif. – May 18, 2018) A Syrian refugee will begin attending California Lutheran University in the fall as the first recipient of a scholarship started through the efforts of an alumna. Rama Youssef of Portland, Oregon, received Cal Lutheran’s International Leaders Scholarship. The award covers full tuition and fees, and recipients showing good academic progress can renew it every year. Youssef, 18, fled Syria with her mom after a bomb went off five miles from her middle school, and she arrived in the United States in 2012. Her mother is living in Germany as a refugee, and her father is still in Syria. Attending a private high school where students work for corporate partners to offset the cost of their education, Youssef interned at the Nike World Headquarters. 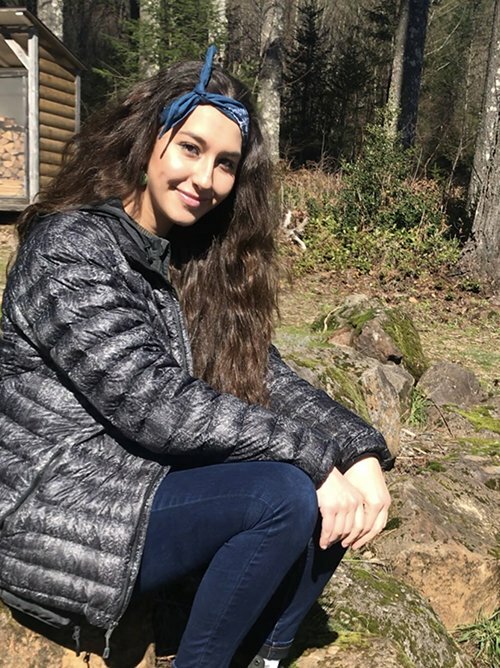 She also founded the Arab Youth Group in Portland to bring people together to get involved in the community, helped put on events for the Syrian American Medical Society to raise money for services and supplies for refugee camps, and served as the senior representative on her school’s Student Council. Kellie Warren of Thousand Oaks launched the scholarship effort during her last semester at Cal Lutheran in early 2017. She wanted to go beyond collecting money and blankets for the Syrians trapped in and fleeing Aleppo. Warren, who just completed an internship conducting outreach for a documentary on a Syrian refugee family, collected signatures through the Books Not Bombs campaign and then worked with Cal Lutheran administrators to start the scholarship. Cal Lutheran joined the IIE Consortium for Syrian Higher Education in Crisis in December, becoming one of more than 80 universities to commit to offering scholarships for Syrian students whose education has been disrupted by the war. Current immigration policies have slowed the number of Syrian refugees entering the U.S. to a trickle, so Cal Lutheran gave the first award to a refugee already settled here. “We saw an opportunity to act on our commitment to service and justice through the support of a global citizen without many options,” said Dane Rowley, director of international admission.